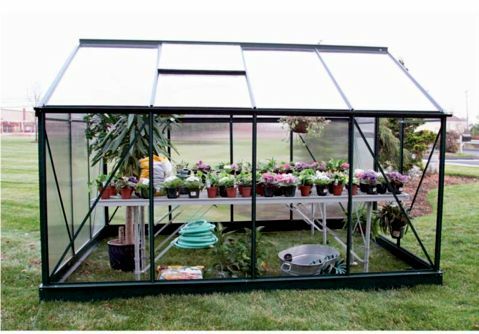 The finest Econo-Gro greenhouse for the serious home gardener or small professional nursery. Grow your own organic vegetables — save money and eat healthier. 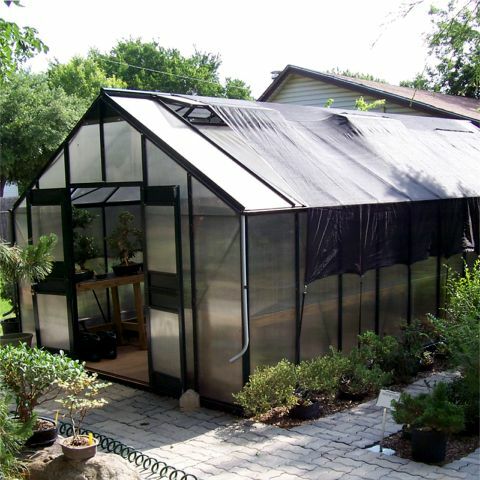 Constructed of sturdy aluminum Gable style framing, in attractive landscape green. 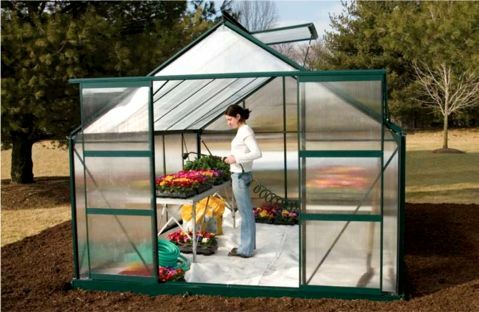 Panels are of the toughest UV-stabilized 4mm polycarbonate for superior heat retention and hot spot reduction. 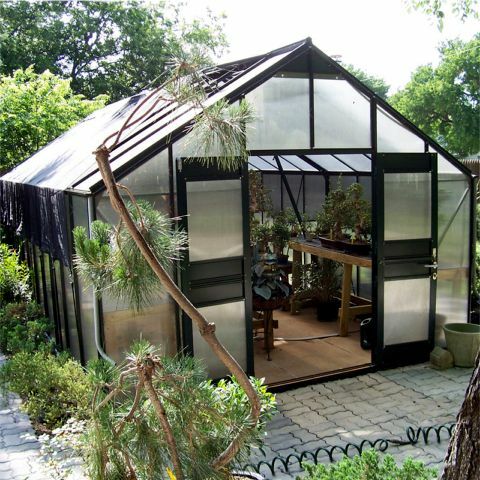 Use 60% black knitted shade panels during extreme heat to eliminate heat stress and ensure optimum plant growth. For best results, install the energy saving Solar-Powered Vent Opener . Side panels are 4'H with a 7'3"H peak.